A Nassau County man has become the first confirmed case of illness related to a tainted batch of steroids, which has resulted in a nationwide outbreak of meningitis and at least 20 related deaths. Reports have confirmed that a Nassau County man, whose identity has not been disclosed, is New York’s first case of illness related to infected steroids. The medication was being used as a pain management treatment, and was administered through an injection into a joint toward the end of September. The patient began to develop complications from the treatment last week. New York State Department of Health spokesman Jeffrey Hammond said this is not the same fungal meningitis that has already infected 250 people across the country, with at least 20 confirmed deaths linked to the steroids. The Nassau County man was treated in a hospital for joint infections, but Nassau County health spokeswoman Mary Ellen Laurain has said that his illness is not life threatening. According to the Department of Health, three sites in the state received the tainted steroids, including Mineola where the unidentified patient was given the injection, and 425 other patients have been injected with the same batch of steroids. The Center for Disease Control and Prevention, which confirmed the case on Wednesday and has been tracking the infected steroids across the country, now says New York is the 16th state where the outbreak is present. 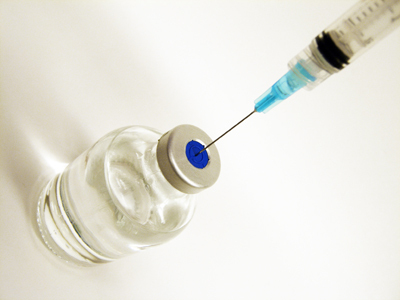 The injection was administered at the Action Sports Medicine and Pain Management in Mineola. No other patients at the clinic who received the same injection have reported complications, but side effects could take weeks to develop. On Thursday, lab tests conducted by federal health officials linked the fungus found in the steriods to the strain now blamed for the nationwide meningitis outbreak. Share your thoughts on this article by posting a comment below, or visiting our Long Island Living discussion forum. Subject: LongIsland.com - Your Name sent you Article details of "NY Tainted Steroids Case Confirmed"